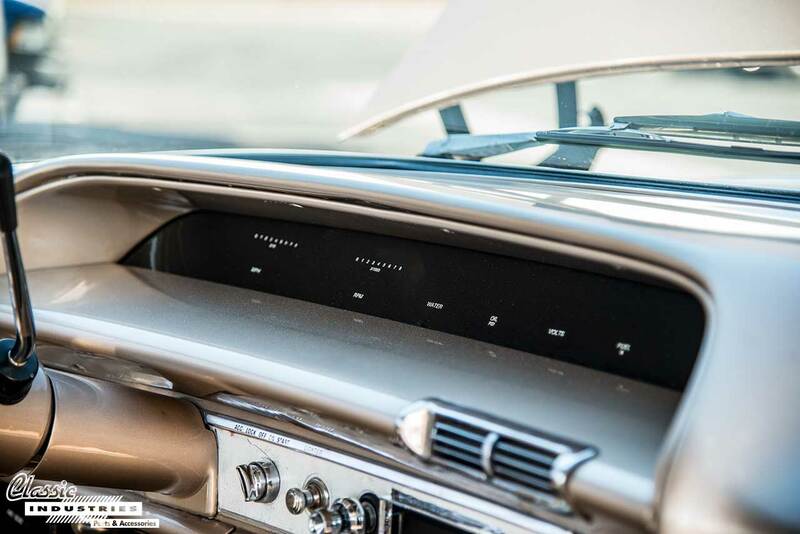 This feature almost looks like it could be original, and it's one of the things that caught our eye about the car when Chris pulled it into our Retail Showroom parking lot. 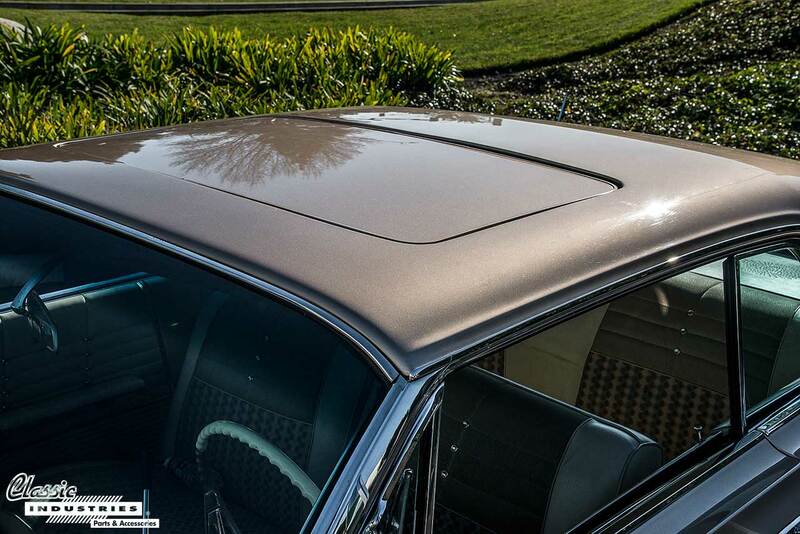 After talking more with Chris, we learned that his Impala has undergone a frame-off restoration. He was just finishing up some odds and ends when we spoke. 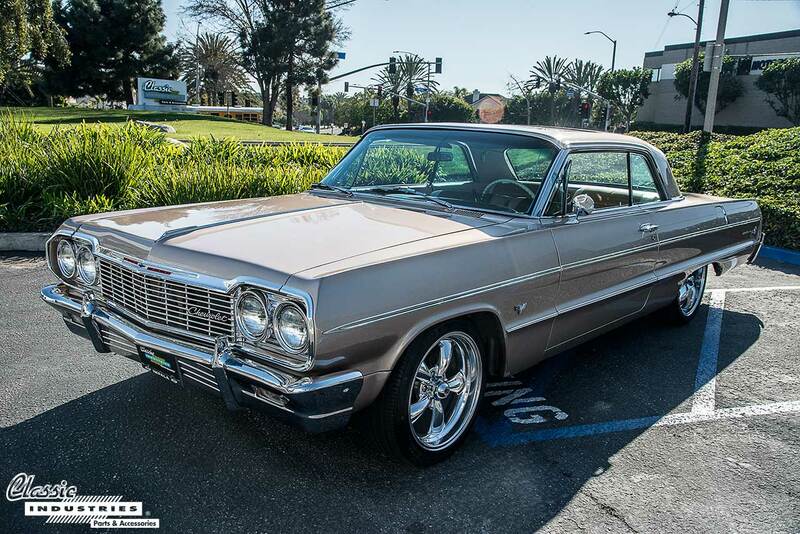 Chris's '64 Impala has been repainted in the factory Desert Beige color, with all-new original-style chrome trim and bumpers to top it off. The lighting, emblems, and glass are all new as well. Under the hood, there's a 350ci small-block paired to a TH-350 automatic transmission. 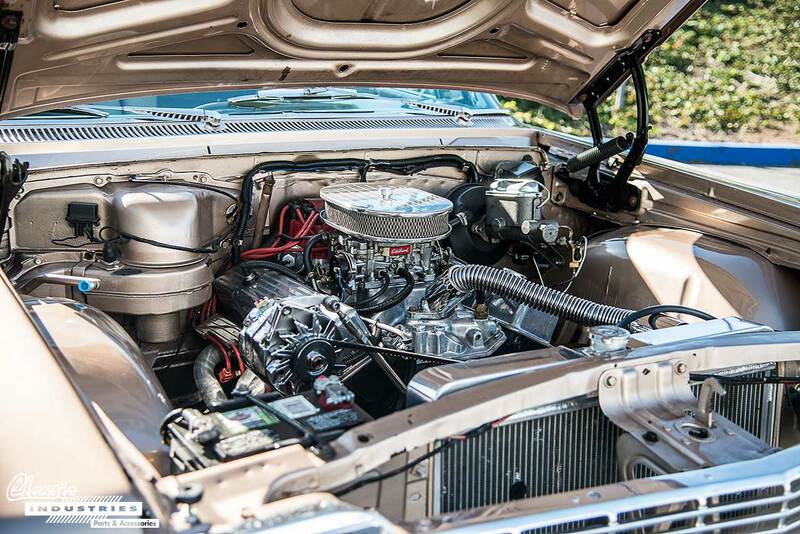 Chris has added a few performance upgrades such as MSD ignition and an Edelbrock carburetor. 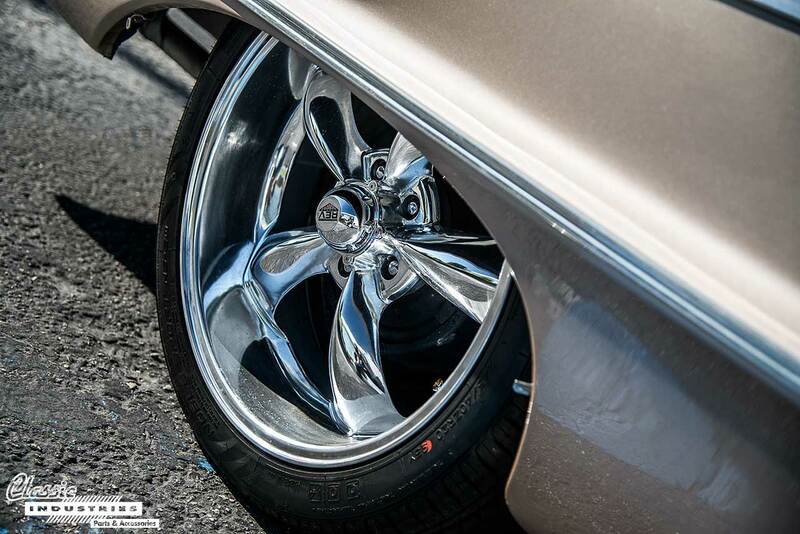 The car rides on a lowered suspension with 20-inch Rev chrome 5-spoke wheels. These pair nicely with the bright chrome on the rest of the vehicle's exterior. 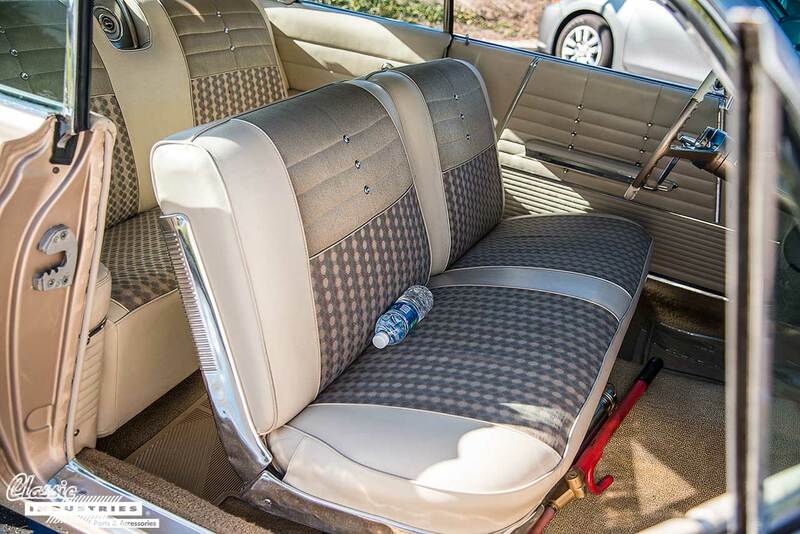 Chris enjoys driving his restored '64 Impala, especially with the windows down and the sunroof open. When he needs maintenance items or other small parts, he stops by our showroom to pick them up. 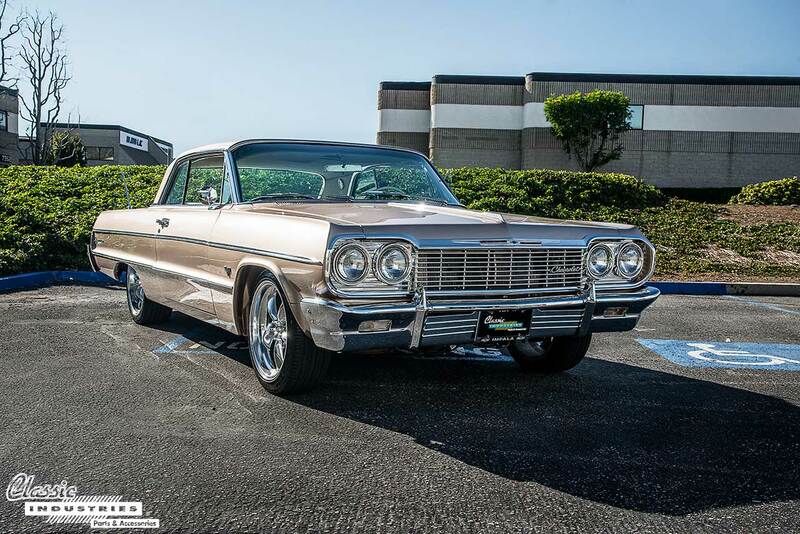 Do you own a classic Chevy Impala, or other Full-Size model such as a Bel Air, Biscayne, or Caprice? If so, Classic Industries has thousands of parts and accessories you can browse. 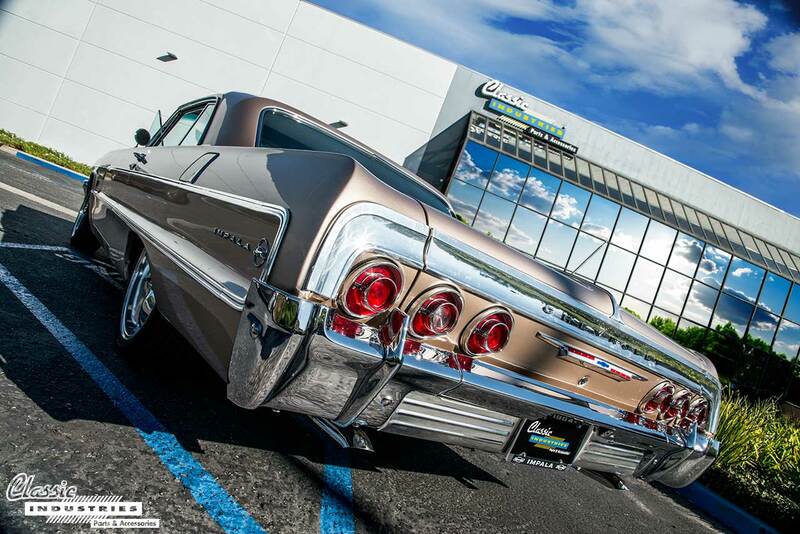 Click the button below for your free full-color Impala restoration parts catalog.